Merry Christmas is a compilation album by Bing Crosby that was released in 1945 on Decca Records. It has remained in print through the vinyl, CD, and downloadable file eras, currently as the disc and digital album White Christmas on MCA Records, a part of the Universal Music Group, (reissued in June 1995) and currently on vinyl as Merry Christmas on Geffen Records (re-issued in September 2014). It includes Crosby's signature song "White Christmas", the best-selling single of all time with estimated sales of over 50 million copies worldwide. The album has sold over 15 million copies and is the second best-selling Christmas album of all-time behind Elvis' Christmas Album, which has sold more than 19 million copies worldwide. The original 1945 release and subsequent re-releases and re-packages spent a total of 36 weeks at no. 1 on the Billboard pop albums chart. 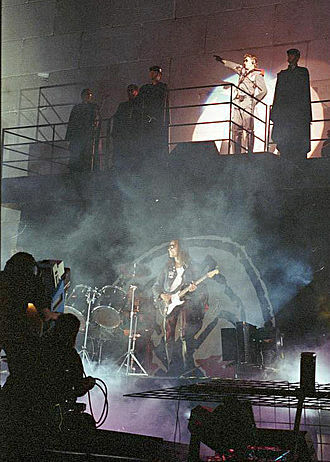 The original album consisted of ten songs on five 78 records, all of which had been previously released. Each one had a holiday theme with the exception of "Danny Boy", paired with "I'll Be Home for Christmas" on its original record. Prior to the long-playing album era, such assemblies were not uncommon for popular music, Merry Christmas instigated by the enormous popularity of the "White Christmas" record. 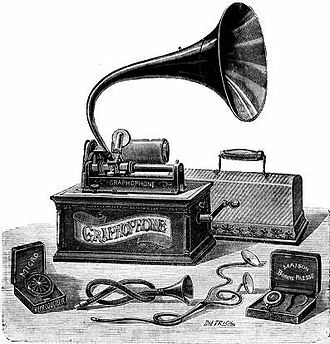 The 78rpm album quickly reached the top of the Billboard Best-selling popular record albums chart in 1945 and remained there for several weeks. Decca issued a second edition in this format in 1947, catalogue Decca A-550, consisting of four 78s, omitting recordings of "Danny Boy" and "Let's Start the New Year Right" from the previous release, and including new recordings of "White Christmas" and "Silent Night" from March 19, 1947. This recording of "White Christmas," heard on every subsequent pressing, is actually a re-recording of the song as, in an unprecedented occurrence, the 1942 master had actually worn out and was no longer usable. Decca and Crosby undertook the remake with the same orchestra and chorus, in an attempt to re-create the original May 1942 recording as closely as possible. The original recording of "White Christmas" to this date, has never been stamped on LP records or 45 rpm singles, and has appeared in a few holiday compilation albums on CD. 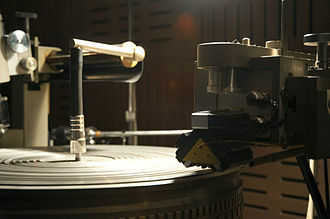 The 1955 vinyl LP configuration is the one extant to date, consisting of the entirety of Decca A-550 plus four additional tracks. The Andrews Sisters, often Crosby's recording partners in the 1940s, are featured on the tracks "Jingle Bells", "Mele Kalikimaka", and "Santa Claus Is Coming to Town". After the original cast recording to Oklahoma!, also from Decca Records, released in 1943, the 1955 album configuration has been continually in-print longer than any other album in the history of the United States. 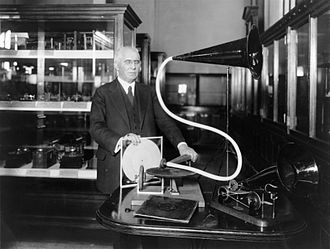 After the introduction of the LP by Columbia Records in 1948, its competitors in the music industry began switching over to the new format. Decca reissued the eight song Merry Christmas album in the form of a 10-inch LP in 1949, catalogue Decca DL-5019 with its standard brown label. 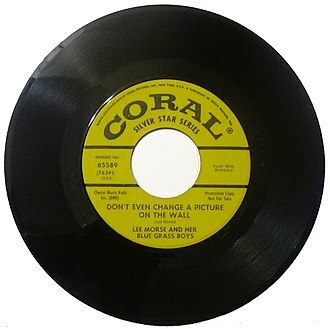 The original 78rpm album cover (seen above) had a light blue background and showed a large black and white photograph of Crosby's head. This was the same cover design that had been used on all issues of the 78rpm album. Copies released after 1951 featured a newly designed red and green cover. Merry Christmas was also issued as a 45 rpm box set in 1950, catalogue Decca 9-65. 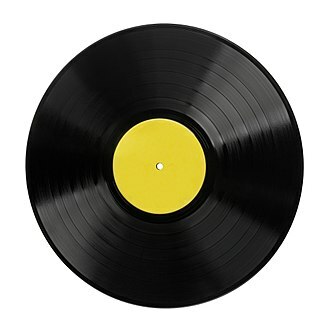 It had the same basic cover with a new yellow background and the same four singles as the 78 rpm album A-550, and the individual records had the same catalog numbers, in this case preceded by the "9-" prefix. 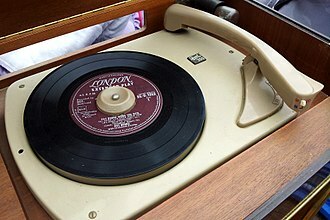 In 1952, the 45rpm box was discontinued, replaced by a 2-EP set, catalogue Decca ED 547. This had the same cover as the second version of the 10-inch LP; each 7-inch single had two songs per side, and the sides were numbered 91123 and 91124, respectively. When Decca (and the rest of the industry) abandoned the 10-inch LP format in 1955, it created a 12-inch LP version of Merry Christmas, catalogue Decca DL-8128, with four additional songs and the now familiar cover with Crosby in his Santa Claus stocking cap as pictured above. The new songs were "Silver Bells" and "Mele Kalikimaka", both recorded in September 1950, and "It's Beginning to Look a Lot Like Christmas" and "Christmas in Killarney", both recorded on October 1, 1951. The album's track listing was also adjusted slightly, with "Faith of Our Fathers" now preceding "I'll Be Home for Christmas." This issue has remained unchanged to present; first pressings of the album were released on Decca's all-black label with the catalog number in the top left corner of the front cover. This album was exactly duplicated for the 2014 re-issue by Geffen Records. In 1986 Merry Christmas was transferred to compact disc, MCAD-31143 and included these same twelve songs in their original mono mixes. Universal Music Group (successor to MCA Records) changed the name of the album to White Christmas, keeping the contents and the catalogue number unchanged. A new mono re-master was made in 1992 and reissued in 1995. It was further reissued in 1998, now with catalogue number B0017220-02. This is the one available at present. Note that it still says MCAD 31143 on the disc. Notes regarding European versions: In 1970, the re-channeled stereo version of Merry Christmas was released on vinyl as White Christmas on the Coral label with catalogue number COPS 1011. In 1987, this version was transferred to compact disc on the MCA label with catalogue number 255 199-2. In 1991, it was reissued (possibly remastered) with catalogue number MCD30195, and later on with catalogue number MCD 18226. The entire album over time, minus the songs "Faith of Our Fathers" and "Danny Boy" (which was only on the 1945 original album) can be found on the 1998 double-disc Bing Crosby: The Voice of Christmas, a compendium of all of Crosby's Christmas recordings for Decca from 1935 to 1956. 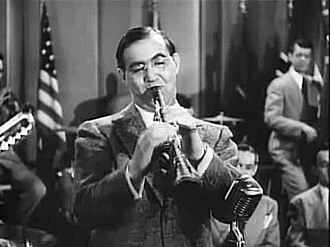 The original 1942 recording of "White Christmas", and a previously unreleased alternate take of said recording, are also found on the compilation. On August 29, 2008, the "White Christmas" album was re-issued as a "Collector's Edition" by Madacy Special Products. This issue featured the original album's 12 tracks in a slightly different order and added two additional tracks ("Rudolph the Red-Nosed Reindeer" and "Here Comes Santa Claus"). The album was packaged in a collectible tin along with the Special Edition DVD of the 1942 film "Holiday Inn." This version of the album, unfortunately, has noticeably inferior sound quality as opposed to the 12-track MCA CD release of the same name- possibly because Madacy used the rechanneled stereo mixes for many of the tracks instead of the more contained, and intimate sounding mono originals. It's possible that the original mono masters (acetates and glass masters from the 1940s and tapes from the 1950s) were destroyed in the fire on the Universal Studios lot in 2008. On September 30, 2014, the album was reissued on a newly remastered LP by Geffen Records and Universal Music Enterprises. This limited edition mono reissue faithfully reproduces the newly designed 1955 LP, right down to the album jacket artwork (which restores the original "Merry Christmas" title) and the period-appropriate black Decca label on the vinyl record. 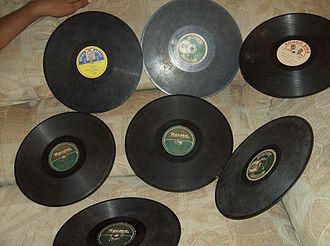 The 1947 album issue Decca A-550, the top picture, consisted of these 78 rpm records, and with the exception of the two remakes, all were reissues of the earlier recordings. Recording dates follow song titles. Delta Music also released an album in 1992 on the LaserLight label titled White Christmas often confused with the newer Decca imprint. ^ "White Christmas - Bing Crosby | Songs, Reviews, Credits". AllMusic. Retrieved 2016-06-14. ^ "Bing Crosby Christmas Songs". Yuleplay.com. Retrieved 2016-06-14. ^ "Billboard". Billboard: 26. December 29, 1945. ^ "Help: Bing Crosby lp in 'Simulated Stereo' | Steve Hoffman Music Forums". Forums.stevehoffman.tv. 2003-12-12. Retrieved 2016-06-14. ^ "DECCA (USA) 18000 series (to 18499) 78rpm numerical listing discography". 78discography.com. Retrieved 2016-06-14. ^ a b "DECCA (USA) 78rpm numerical listing discography: 23000 - 23500". 78discography.com. 2015-09-26. Retrieved 2016-06-14. ^ "DECCA (USA) 78rpm numerical listing discography: 23500 - 24000". 78discography.com. 2015-09-26. Retrieved 2016-06-14. Some maintain Santa Claus absorbed elements of the Germanic god Wodan, who was associated with the pagan midwinter event of Yule and led the Wild Hunt, a ghostly procession through the sky. This image has been maintained and reinforced through song, television, childrens books, films and he accomplishes this feat with the aid of his elves, who make the toys in his workshop at the North Pole, and his flying reindeer, who pull his sleigh. He is commonly portrayed as living at the North Pole and saying ho ho ho often, Saint Nicholas of Myra was a 4th-century Greek Christian bishop of Myra in Lycia, a province of the Byzantine Empire, now in Turkey. Nicholas was famous for his generous gifts to the poor, in presenting the three impoverished daughters of a pious Christian with dowries so that they would not have to become prostitutes. He was very religious from an age and devoted his life entirely to Christianity. In continental Europe he is portrayed as a bearded bishop in canonical robes. The remains of Saint Nicholas are in Italy, in 1087, the Italian city of Bari mounted an expedition to locate the tomb of the Saint. The reliquary of St. Nicholas was conquered by Italian sailors, a basilica was constructed the same year to store the loot and the area became a pilgrimage site for the devout. Sailors from Bari collected just half of Nicholas skeleton, leaving all the fragments in the grave. These were collected by Venetian sailors during the First Crusade and taken to Venice, where a church to St. Nicholas, the patron of sailors, was built on the San Nicolò al Lido. This tradition was confirmed in two important scientific investigations of the relics in Bari and Venice, which revealed that the relics in the two Italian cities belong to the same skeleton. Saint Nicholas was claimed as a saint of many diverse groups, from archers, sailors. He is the saint of both Amsterdam and Moscow. During the Middle Ages, often on the evening before his day of 6 December. So Saint Nicholas changed to Santa Claus, martin Luther first suggested the Christkind as the bringer of gifts. But Nicholas remained popular as gifts bearer for the people, Father Christmas dates back as far as 16th century in England during the reign of Henry VIII, when he was pictured as a large man in green or scarlet robes lined with fur. Danny Boy is a ballad set to an ancient Irish melody. The words were written by English songwriter Frederic Weatherly and usually set to the Irish tune of the Londonderry Air and it is most closely associated with Irish communities. Initially written to an other than Londonderry Air, the words to Danny Boy were penned by English lawyer and lyricist Frederic Weatherly in Bath. After his Irish-born sister-in-law Margaret in the United States sent him a copy of Londonderry Air in 1913, Weatherly modified the lyrics of Danny Boy to fit the rhyme and meter of Londonderry Air. Weatherly gave the song to the vocalist Elsie Griffin, who made it one of the most popular songs in the new century, jane Ross of Limavady is credited with collecting the melody of Londonderry Air in the mid-19th century from a musician she encountered. Oh, Danny boy, the pipes, the pipes are calling From glen to glen, the summers gone, and all the roses falling, Its you, its you must go and I must bide. But come ye back when summers in the meadow, Or when the valleys hushed and white snow, Its Ill be here in sunshine or in shadow, — Oh Danny boy, Oh Danny Boy. But come ye back, when all the flowers are dying, And I am dead, as dead I well may be, Yell come and find the place where I am lying, And kneel and say an Avé there for me. And I shall hear, though soft you tread above me, And all my grave will warmer, sweeter be, For you will bend and tell me that you love me, and I shall sleep in peace until you come to me. If I should live, and you should die for Ireland, Let not your dying thoughts be all for me, But say a prayer that God may save our Sireland, Im sure He will, and He shall set us free. And Ill take that pike that youth held dearest, And strike a blow though weak that blow may be, Twill serve the cause after which you died, my love, there are various theories as to the true meaning of Danny Boy. Some have interpreted the song to be a message from a parent to a son going off to a war or uprising or leaving as part of the Irish diaspora, in spite of this, it is unclear whether this was Weatherlys intent. Danny Boy is considered to be a signature song and anthem, particularly by Irish Americans. Franz Xaver Gruber, was an Austrian primary school teacher, church organist and composer in the village of Arnsdorf, who is best known for composing the music to Stille Nacht. Gruber was born on November 25,1787, in the village of Hochburg, Upper Austria and his given name was recorded in the baptismal record as Conrad Xavier, but this was changed to Franz Xaver. The Hochburger schoolteacher Andreas Peterlechner gave him music lessons, Gruber worked as a weaver until the age of 18, trained to become a schoolteacher. He completed his education studying with the church organist of Burghausen. In 1807 Gruber became schoolteacher in Arnsdorf and he became the church caretaker and organist. In 1808 he married a widow, Maria Elisabeth Fischinger Engelsberger and they had two children, both of whom died young. After the death of his first wife in 1825, Gruber married a former student and they had ten children, four of whom survived to adulthood. 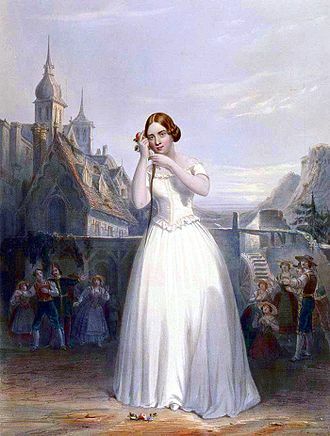 In 1829 Gruber moved to Berndorf, and in 1835 to Hallein, Maria Gruber died in childbirth in 1841 in Hallein. Geffen Records is an American major record label, owned by Universal Music Group, which operates as one third of the Interscope Geffen A&M Records label. On March 23,2017, Billboard. com announced the label was relaunching with longtime A&R Neil Jacobson as President, Geffen Records was started in 1980 by music industry businessman David Geffen who, in the early 1970s, had founded Asylum Records. Geffen stepped down from Asylum in 1975, when he crossed over to film and was named a vice-president of Warner Bros and he was fired from Warner circa 1978, but remained locked in a 5-year contract, which prevented him from working elsewhere. He returned to work in 1980 and struck a deal with Warner Bros. Records to create Geffen Records, profits were split 50/50 between Geffen and the respective distributors. Geffen Records first artist was disco superstar Donna Summer, whose gold-selling album The Wanderer became the labels first release in 1980, the label followed it up with Double Fantasy by John Lennon and Yoko Ono. It was Lennons first new album since 1975, two weeks after it entered the charts, Lennon was murdered in New York City. As the 1980s progressed, Geffen would go on to have success with acts as Kylie Minogue, Quarterflash, Asia, Wang Chung. This prompted Geffen to create a label, DGC Records in 1990. Geffen distributed the first incarnation of Def American Recordings through Warner Bros. from 1988 to 1990, after a decade of operating through Warner, when its contract with the company expired, the label was sold to MCA Music Entertainment in 1990. The deal ultimately earned David Geffen an estimated US$800 million in stock, following the sale, Geffen Records operated as one of MCAs leading independently managed labels. Geffen Records would distribute releases on the new operations DreamWorks Records subsidiary, Universal Music Group acquired PolyGram in 1999, resulting in a corporate reorganization of labels. Geffen Records, along with A&M Records, was merged into Interscope Records. Although Geffen would continue to exist as a brand, it was downsized to fit into the expansion of Interscope. Composer Leonard Bernstein in 1955.